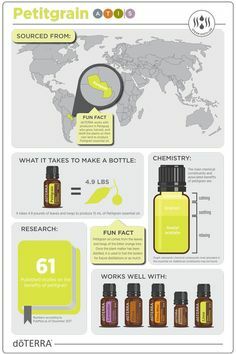 Probably the single most popular and most used essential oil is Lemon. Lemon has a fresh citrus aroma. 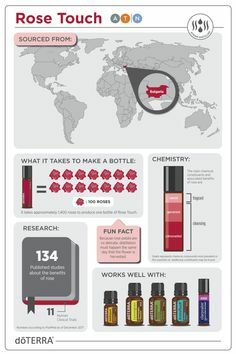 It makes everything not only smell clean, but has distinct cleansing and deoderizing characteristics. It is an extremely versatile oil with the ability to aid in digestion or clean the sticky residue that’s left over from a label! It’s very important to ensure that you are purchasing a high quality, pure, and potent Lemon essential oil. 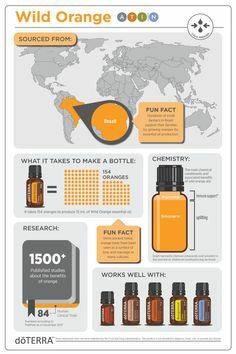 doTERRA uses CPTG Certified Pure Therapeutic Grade® testing to make sure every bottle has the purest oil possible. Add Lemon oil to your water for a refreshing taste or as an alternative to sodas and sugary drinks. When taken internally, Lemon oil can also naturally cleanse the body and aid in digestion. * You can even add a drop of Lemon oil and sliced fruit to your water for a delicious infused flavor. Whether you like working on your bike, your car, or projects in the garage, you know the frustration of trying to get black grease off your hands. No matter how hard you scrub with soap, there always seems to be a greasy residue left behind. Give your soap a little extra cleaning power by adding a few drops of Lemon oil to your soap mixture, and give your hands a good scrub. Have you ever tried using Lemon oil for skin? It turns out, Lemon oil can help exfoliate your skin. When incorporated into your skincare routine, Lemon oil can help give your complexion a refreshed, healthy looking glow. To make your own homemade exfoliant scrub, combine 4–5 drops of doTERRA Lemon essential oil to a small amount of oatmeal and water. As you apply the Lemon oatmeal scrub to your skin, you will feel the cleansing and refreshing properties of Lemon oil working to exfoliate and clean your skin. 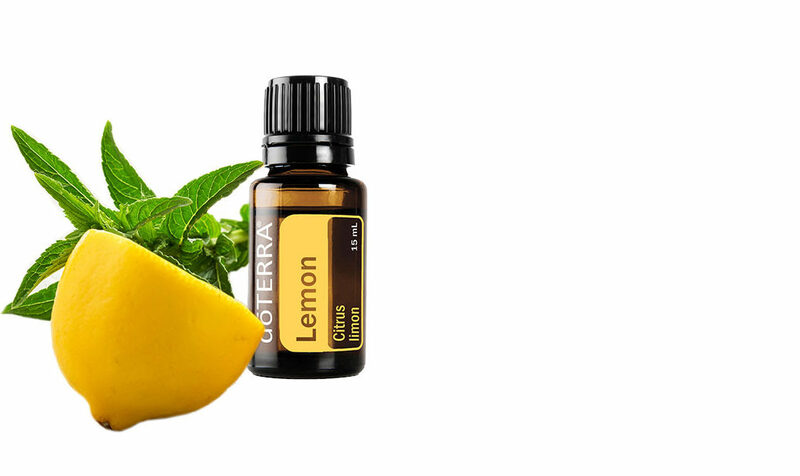 When diffused, Lemon oil provides an uplifting environment and promotes a positive mood. Due to the chemical makeup of this oil, it has been shown to help improve mood with an energizing and invigorating aroma. If you want to diffuse Lemon oil, use three to four drops in the essential oil diffuser of your choice.Diffusing Lemon oil will also help cleanse and purify the air and surfaces in your home. Whether you are trying to eliminate airborne odors, or just like to keep your house smelling fresh, bright, and clean, Lemon is an optimal choice for diffusing—on its own or in a diffuser blend. Looking for a good Lemon oil diffuser blend? Add 2 drops of Lemon, 1 drop of Lime, 1 drop of Lavender, and 1 drop of Rosemary to your diffuser for a “Clean Summer Kitchen” aroma. The cleansing and preserving qualities of Lemon make it the perfect oil for maintaining your furniture. Whether your furniture could use a good wipe-down, a new shine, or a just a little TLC, there are several uses for Lemon essential oil when it comes to cleaning and preserving furniture. By adding a few drops of Lemon oil to olive oil, you can create your own non-toxic furniture polish at home. When applied to furniture, Lemon oil leaves a clean shine, prevents fine wood finishes from drying out, and can replace lost moisture in antique woods as it penetrates worn finishes. When trying this polish on your own homemade furniture, always apply the polish in an inconspicuous spot before applying it to the entire piece. Take a look at our Wood Polish DIY to learn how to make your own.While Lemon can work wonders with wood furniture, it is also useful for maintaining leather furniture. It takes a lot of work and special care to preserve a leather couch or leather chair, but Lemon essential oil takes a lot of the work out of it for you with its preservative properties. Use a Lemon oil soaked cloth to wipe down your leather furniture to help preserve the piece, and prevent leather from splitting. Are you a fan of lemon-infused desserts? You can add a sweet and zesty punch to your favorite treats and dessert recipes when you add a little Lemon essential oil. When used properly, Lemon oil often adds a sweet, sugary taste to desserts, without the processed sugar or other alternative ingredients. For example, Lemon essential oil makes these Blueberry Lemon Muffinsa delectable treat. The bold, bright flavor of Lemon oil makes these Honey Suckers the perfect homemade treat. You can cool off in the heat with this delicious and refreshing Strawberry Citrus Slush with Lemon essential oil. Your favorite lemon-flavored treats are just waiting to be transformed—try your hand at baking with Lemon oil today! Lemon oil is a great remedy for the early stages of tarnish on silver and other metals. No need to throw out jewelry, silverware, or other household items that have started to tarnish—just put a couple drops of Lemon oil on a cotton ball, and rub on the tarnish to bring back the natural beauty of your metals. A major benefit of Lemon essential oil is its purifying properties, which makes it the perfect component for homemade cleaning agents. If you are worried about dirt and grime, Lemon essential oil is the perfect solution for cleaning the surfaces of your bathroom and kitchen.Add Lemon oil to a spray bottle of water and use it as a homemade cleaning solution when you wipe down your countertops, baby high chair, bathroom sink, or anything else that needs the purifying power of Lemon. To make the solution even stronger, consider adding a little vinegar. The beauty of a homemade cleaning solution made with Lemon essential oil is that it doesn’t include all the chemicals that store-bought cleaners have. You can rest easy knowing that your cleaning agent won’t pose a threat to you and your family, because it is chemical-free! Want more Lemon oil cleaning ideas? Try this easy and effective glass cleanser. Stubborn, sticky residue used to be an annoyance, but with the help of Lemon essential oil, you can get rid of goopy messes without hours of scrubbing or the use of toxic chemicals. Did you peel the price tag off of your new water bottle, only to find a sticky residue left behind? Does your toddler’s fascination with stickers frequently result in an adhesive mess on the bedroom wall? Did your teenager leave behind a big sticky mess after making a PB&J sandwich five hours ago? Normally, these situations would mean a long night of scrubbing for you, with remnants of a sticky mess still left behind. However, adding a little Lemon oil to a rag will help you get rid of these messes (and others like them) in practically no time at all. Fun Fact: In one year, a single lemon tree has the potential to produce between 500 and 600 pounds of lemons. It typically takes around 75 lemons to fill a 15mL essential oil bottle. Lemon is great for Cooking! In a large skillet or pot, bring salt and water to a boil. While water is heating, trim broccoli stems and florets into bite sized pieces. Once water is boiling, add noodles and boil on high for 4 minutes. Add the broccoli, cover, and boil for an additional 3 minutes. Take off heat and drain pasta and broccoli. Return pasta and broccoli to the pan and stir in spinach. 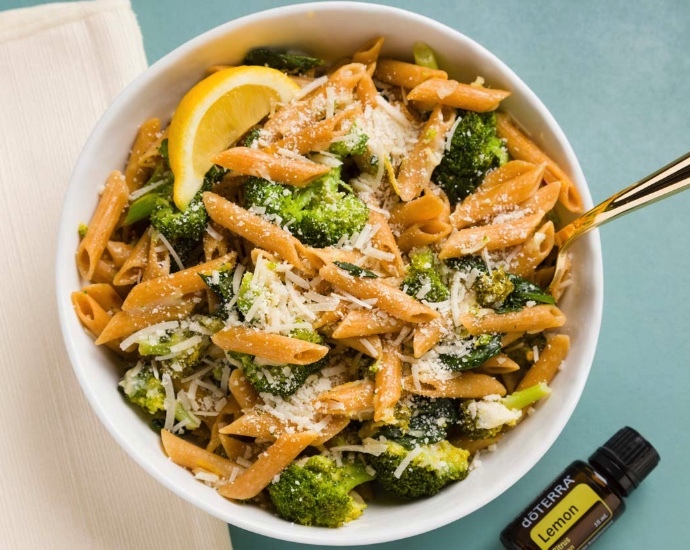 Distribute Lemon oil to your pasta evenly (with a toothpick or by continuous stirring). In a small skillet, melt butter over medium heat. Add the minced garlic and crushed red pepper to the butter and sauté for 1 minute. Turn off heat and continue stirring for 1–2 minutes, then add the mixture to your pasta. Stir 1 cup fresh Parmesan into your pasta and add a drizzle of olive oil on top. Season with salt and pepper to taste. Garnish with more cheese and fresh lemon wedges. Serve warm. Tips: If you are having trouble with the pasta sticking together while cooking, add a splash of olive oil to the water.